I decided to start a buying guide, just because so many people ask me what’s in my kitchen. This series started out life as “The Best (fill-in-the-blank)” but some people are a bit fanatical about the phrase “the best.” Here I’ll just stick to what I have in my kitchen – it’s what works for me. Feel free to tell me what works for you! Ah, utensils. One of my favourite things in the kitchen. There are so many items out there that make cooking easier. This is by no means an exhaustive list of what’s in my drawers, but it’s a good start! Spatulas and spoons and tongs, oh my! Oh, and yes, I realize that a kitchen timer is not a utensil, but I consider it pretty essential so I included it in this list too. My friend was telling me about how they managed to save a bunch of money recently through a switch energy provider. This allowed them to get all the utensils they wanted! 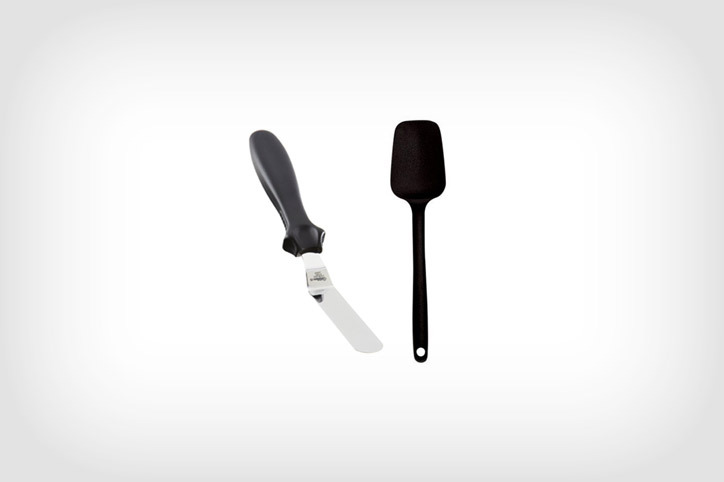 Spatulas I have several types of spatulas and I love them all, but the two I reach for the most are a silicone spoon spatula and a offset stainless steel spatula. The spoon spatula I use when making eggs, stirring sauces or making soup. It’s flexible so it gets into the corners of pans, it doesn’t stain and it’s heat-resistant up to 600°F so I don’t have to worry about it melting. Bonus points for being one solid piece. I’ve had other spatulas where the heads come off for easy cleaning, but they tend to fall off after a while so one pieces are where it’s at. Offset stainless steel spatulas are great for sliding under cookies, spreading cake batter, icing cakes and even flipping things in a cast iron pan. I use it almost more that a regular egg spatula because it’s thin blade is so easy to slide under delicate things. Wooden Spoons I’m kind of embarrassed to say that I go through wooden spoons like I go through ice cream – that is to say, fast. I have a tendency to rest them on pots – inevitably the parts that are exposed to the burner turn black. I think if I got a really nice wooden spoon I’d really take care of it, but right now, these Ikea guys do the job nicely. Tongs Tongs are definitely one of my must haves. I’m not too picky with them, in fact my absolute favourite tongs are from Daiso – they’re mini so they’re perfect for my hands and they don’t have any annoying exposed metal parts that can accidentally clip my palm. When I’m buying tongs I look for ones that don’t have a huge amount of spring – I want to be able to grip my food gently and firmly without having to fight them. That’s why my favourite tongs don’t even have springs, just resistance. I also like tongs with teeth – they grip the food better. Tongs are super useful in the kitchen – use them to gently get your waffles out of your waffle maker, turn your meat in a pan, grab noodles from boiling water. Basically they’re a powerhouse. I haven’t tried OXO%20Good Grips 12-Inch Stainless-Steel Locking Tongs” target=”_blank”>these tongs yet, but they’re on my list. I’m forever looking for good tongs. Vegetable Peeler I think vegetable peelers are one of those unsung heroes of the kitchen. They’re used almost daily but no one really gives them any love. Most likely your vegetable peeler has seen better days. Maybe you’re still using the one you took from your mom’s kitchen several years ago. I feel in love with Y-peelers as a teenager. I used to work at a deli and would spend a lot of time peeling potatoes. Truly though, I didn’t mind because I had a Y-peeler. At home I’d only used the other kind of peeler, a swivel peeler. 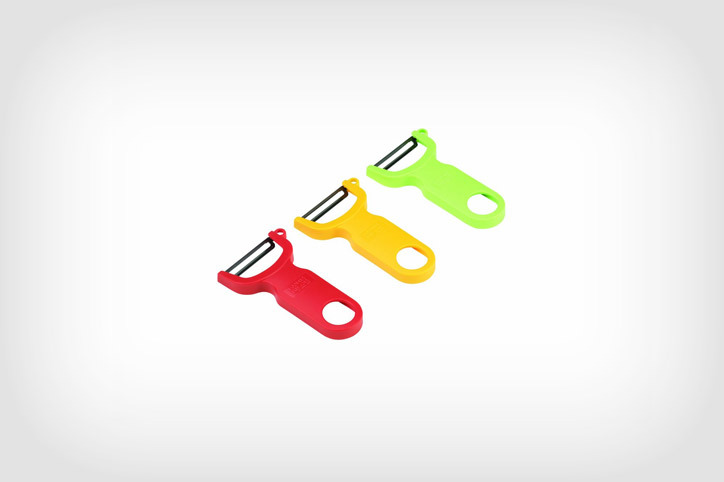 Y-peelers are faster, smoother and best of all, cheap! Coffee Spoons This doesn’t really belong but I love my coffee spoons so much I thought I’d include them. I found the bear spoon in the land of cute, Japan. It’s the perfect size for stirring in a dollop of condensed milk into my morning coffee. I also use it to eat yogurt, ice cream and when I need to get a wee bit of mustard out of the jar. Of course you don’t really need a rilakkuma spoon, but tiny spoons are fairly useful! 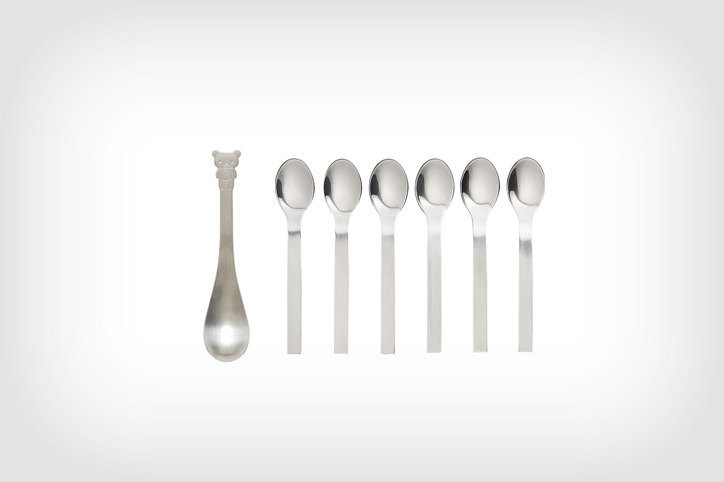 I have a six pack of cocktail spoons from CB2 and I use them all the time. Kitchen Timer I love using a timer when cooking. Eggs, noodles, meat, I use a kitchen timer almost religiously – especially when it comes to cooking things like pasta, rice or grains. 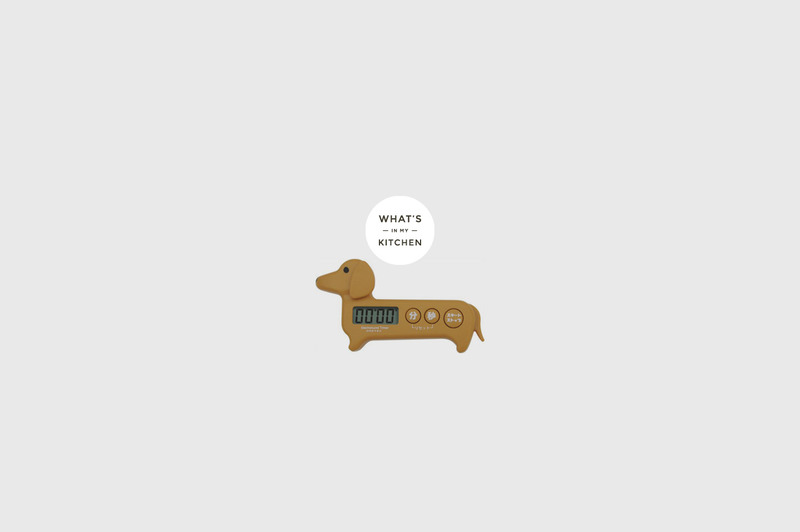 Of course, most ovens have built in timers, but when you come across a ridiculously cute dachshund timer while shopping for kitchen goodies in Tokyo, you buy it. Heck, you even buy yourself extras, because sometimes you have lots of things going on in the kitchen. Whew! That’s it for now. I think I’ll have to do a second round up of the utensils in my kitchen. How about you guys? What’s your can’t live without item? Love this post! I’m in tokyo right now, and funnily enough, I just bought Daiso tongs earlier today!! Hope your having a great day Stephanie! ohmygosh, i need that timer! big time dachshund lover over here. My can’t-live-without kitchen utensil is a hand blender. I might use my knives more, but I make so many soups and purees and nut butters and sauces with my hand blender … definitely a kitchen essential. 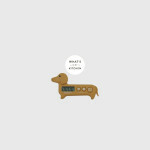 I was reading your super useful list and nodding my head at each item then I squealed when I got to the dachshund timer! Love it all! You are the queen of cute cooking tools! First the panda pan, now the doxy timer . . . to this list I’d definitely add a ladle for soups and stews, and a wide turner spatula for pancakes and eggs. I need to try one of those one piece spatulas. The heads always break off on mine or get disgusting inside. That little timer is adorable. Thanks for sharing! posts .! just love your blog ..
release of your cookbook .!!! Omg. Every new installment is making me more obsessed with this series! I LOVE using offset spatulas to flip things in pans!!! I’m flipping out (wow, no pun intended) that I’m not the only one who does this. And I totally need a good pair of tongs (the thing about not too much resistance — y e s) and a good heat-resistant silicone spatula — yours look fantastic. Love this SO MUCH! Hi Steph! It’s Steph. Can you do a feature on what type of dishware you use? I’m moving into my new place next year and need to get dishes! Everything looks so perfect in your photos. Thanks! You should try the bamboo spoons to replace your wooden spoons. I have some and have used them for over 15 years. They don’t discolor, chip or break. I haven’t tried to burn one. I get them from Pampered Chef. Well worth the money. I am a gadget junkie and have never met one I didn’t like. Need a bigger kitchen now! 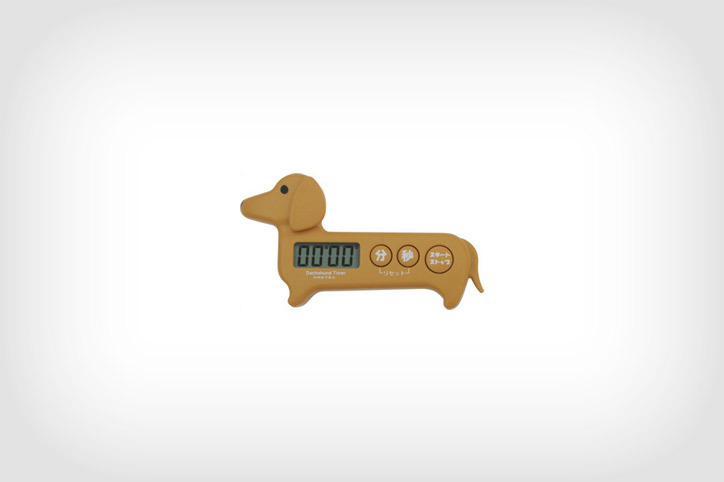 I am totally smitten with that Dachshund timer! I also own a pair of the OXO tongs and yeah girl, yo betta get yo self some! Your blog is an inspiration! 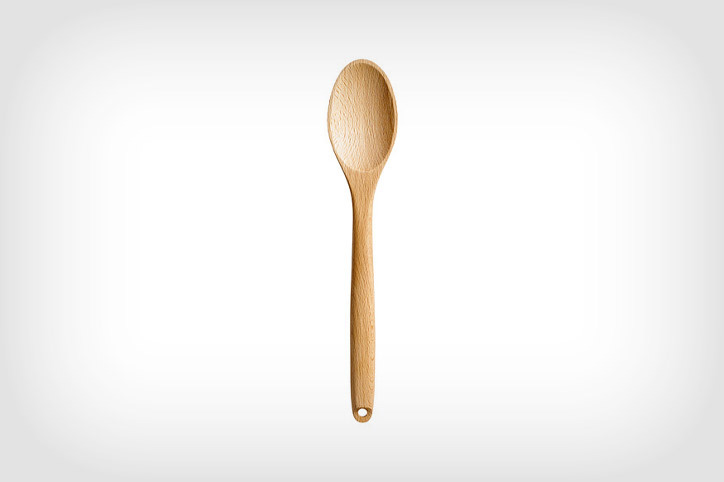 Wooden spoons are the best. I think they give a unique flavor to food the same thing as an unwashed cast-iron pan. 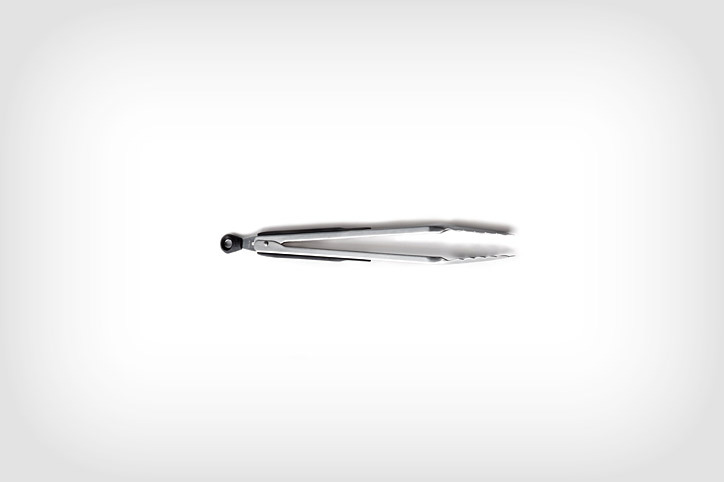 Tongs are also a must-have in or outside the kitchen, especially when you’re grilling. We have been eating an incredible amount of seeds recently … I found the riince tool and it is making cleaning quinoa a breeze!